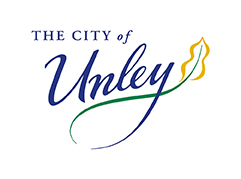 Join Unley Concert Band for an evening of classic wind band music and tasty hot soup as the band presents “Early Classics For Band”. 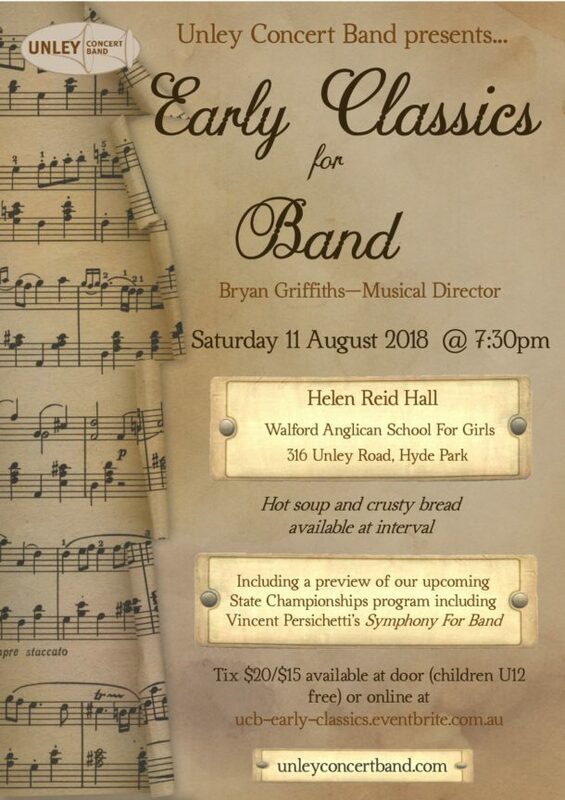 The first half will feature a preview of our upcoming State Championship program including Vincent Persichetti’s Symphony for Band as well as some wind band favourites! The second half will be a celebration of all things Leonard Bernstein, marking 100 years since his birth in 1918. To be held at Walford Anglican School For Girls’ lovely Helen Reid Hall in Hyde Park. Tickets $20, Concession $15 with children u12 free. Tickets are also available at the door also (cash only).